Fortunately, there's another way you can make sure to be one of the world's first owners of this potentially game-changing product, as AT&T is now also accepting orders both on and offline. The nation's fastest wireless service provider (according to certain speed tests) will actually make the Galaxy Fold available in its nationwide brick and mortar stores on April 26, with deliveries for e-orders scheduled to take place "by April 25"... if you hurry. Interestingly, while T-Mobile also expects to start selling the versatile 2-in-1 device in its physical stores on April 26, the "Un-carrier's" online sales will only begin on the 25th. 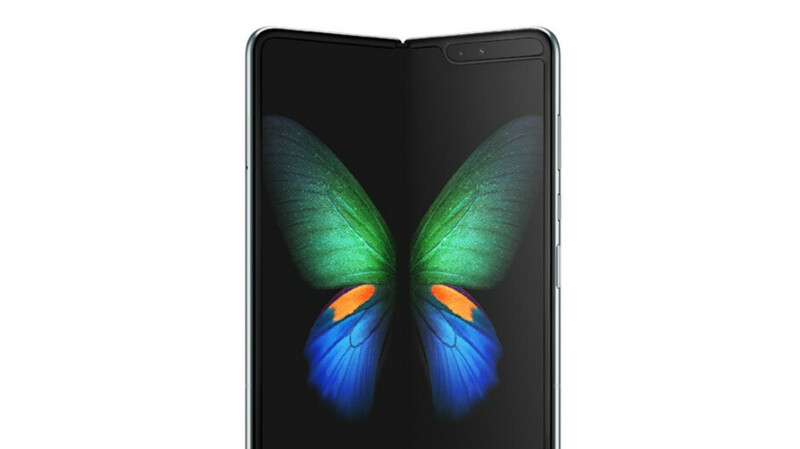 This obviously gives AT&T the upper hand in its attempt to charm prospective buyers of the Samsung Galaxy Fold, although it remains unclear just how many units have been produced and are actually ready to be shipped. If you have close to 2,000 bucks to spare, it might be a good idea to pull the trigger as soon as possible and secure your place at the front of the line on AT&T's official website. You can also split the sky-high $1,979 list price in 30 monthly installments of $66.66 with "well-qualified credit" and no upfront payment. To take some of the sting away, Samsung is throwing in a pair of wireless Galaxy Buds and a "slim case" at no extra charge, no matter where you choose to purchase the Galaxy Fold from. As highlighted in AT&T's short promotional video, this bad boy allows its users to "go big or go bigger" by seamlessly switching from a 4.6 to a 7.3-inch Dynamic AMOLED screen. The latter is naturally designed with multitasking in mind, supporting Multi Active Window functionality to navigate three apps simultaneously. The Snapdragon 855 powerhouse also comes with a whopping 512 gigs of internal storage space, 12GB RAM, and a "kit of 6 pro-grade lenses" including everything from an ultrawide selfie shooter to "micro zoom" technology. Bottom line, you certainly pay a lot of money, but you also get plenty of bang, as well as a uniquely flexible user experience. Already sold out. I had reservation number 3024 and received the pre order email from Samsung at 7:15 last night. I tried to order as soon as I received the email but was instead taken to a page that said my reservation was being held but they were already out of phones due to higher than expected demand. very beautiful machine! Samsung understands that the exynos is no good and therefore only snapdragon was installed in the fold. It’s not 5G. 5G model coming later. Did you order from ATT? Damn I wish I ordered from there. Samsung delivery says May1st. Bummer. Oh well. Yes I was going to order from Samsung because I reserved it but when I went to order the phone it was sold out then I saw att had it and bought it right away. Delivery shows 24th but I was told by att they are holding orders to ship on the 24th and deliver for the 25th. The silver one is already slipping to June delivery but the black is still available.